Saudi Crown Prince Mohammed bin Salman attends a meeting in Jeddah. RIYADH - Saudi Arabia and Britain signed a framework deal for military cooperation, Saudi state media said on Tuesday, just two days after Gulf rival Qatar signed a deal to buy jet fighters from the European nation. 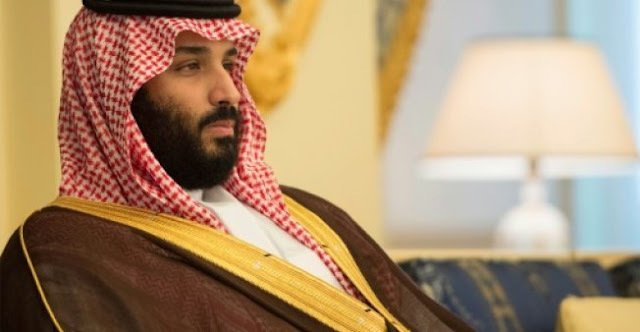 The agreement came after Saudi Crown Prince Mohammed bin Salman discussed security ties with visiting British Defence Secretary Michael Fallon in the Red Sea port city of Jeddah, the Saudi Press Agency said without disclosing details of the agreement. "During the meeting, they reviewed bilateral relations particularly the mechanism... joint coordination in the field of defense. They also discussed... efforts to combat terrorism," SPA said. The agreement comes as Britain seeks to explore lucrative trade deals outside Europe, including energy-rich Gulf monarchies, after voting to leave the European Union. Qatar on Sunday signed an agreement to buy 24 Typhoon fighter jets from Britain, a second major defence deal signed by Doha during its prolonged diplomatic dispute with its neighbours. Regional kingpin Saudi Arabia, Bahrain, the United Arab Emirates and Egypt cut ties with Qatar in June, accusing it of backing extremism and fostering ties with their Shiite rival Iran. Qatar denies the charges, claiming the dispute is an attack on its sovereignty. Britain and other Western powers have urged Arab states to end their Qatar boycott, but analysts say the crisis shows no sign of ending. Saudi Arabia and Britain signed a framework deal for military cooperation, Saudi state media said on Tuesday, just two days after Gulf rival Qatar signed a deal to buy jet fighters from the European nation.